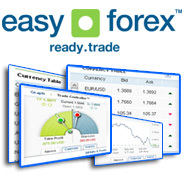 Our free Forex Currency Converter gives you accurate and instant foreign currency conversions. Stay on top of the Forex market with our foreign currency converter. Use our free Forex Pivot Point Calculator to better understand Forex market trends and predict trends before they happen. Use our free Forex Margin Calculator to help you make better decisions with the Forex market. Here we explain about currency trading uptrends and how they are used for technical analysis.